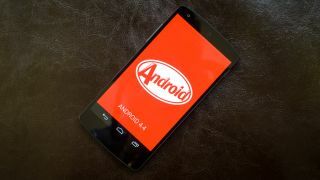 In a race to finally mature Android into a less multi-personality OS Google has slipped a new runtime called ART into Android 4.4. For a quick primer, all Android apps downloaded from the Play Store come written in a generic code called bytecode that's left half-complied. It's done this way because Android runs on such a wide range of hardware and software platforms. Android phones currently use Dalvik and a Just-In-Time compiler to polish up apps to work with devices as they are launched. ART (short for Android Runtime) compiles code Ahead-Of-Time when applications are first installed. Though it's early yet, ART looks to cut app execution time by half, allowing for faster finishes to long-running, processor-sucking tasks and more idle time. What it looks to mean for users is improved animations, faster input reactions (touch, sensor), and substantially better battery life. Instead of having a compiler start up every time, eating up resources and battery, ART converts apps the first time, leaving them stored as native applications for the device's specific hardware. If ART gets off the ground, it would mark a fundamental shift in the way applications work on Android devices that could help improve performance and battery life. Users can switch on ART by going into Settings > Developer Options > Select runtime. Note ART is essentially an experiment Google's running for devs and hardware makers, but the option is there for regular users to give it a go, too. While there seem to be abundant plusses to ART, the main catch is that every app will take slightly more space. ART precompiles every app you install or already have on your device into a larger native application. Using the new runtime also causes longer install times for all apps, which can be especially annoying when converting the entire apps library. However the trade offs could be well worth the few megabytes off of the device's storage, especially if it means games are less prone to stutter, apps generally more responsive and battery is saved. As the option to turn on ART is still hidden away in the developer settings, it's obvious this new feature isn't ready for prime time just yet. Google also hasn't given an official timeline for when ART will fully replace Dalvik, if it ever does. Check out our review of the latest Android Device running KitKat.